Midwest Direct will find you additional postage savings by commingling, or combining, your mail with mail from other organizations into one large mailing. 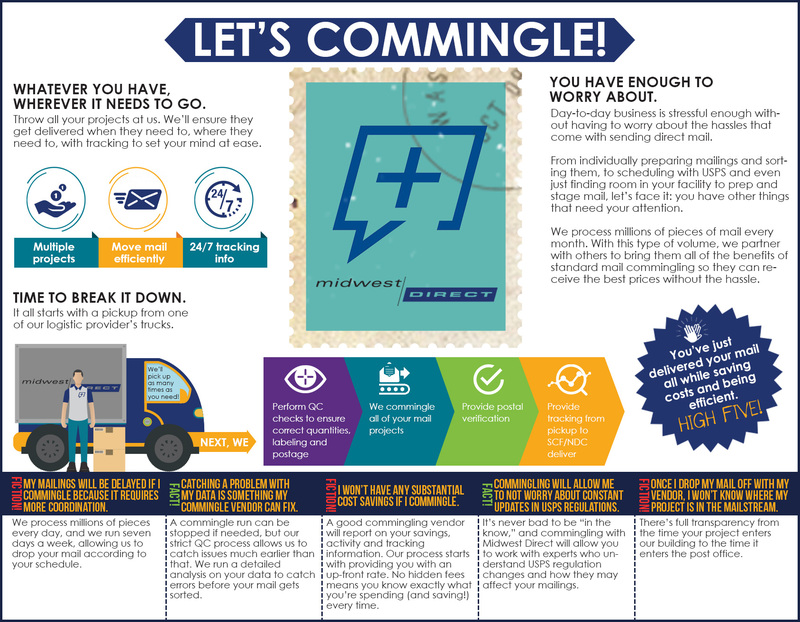 Commingling mail services = postage savings! You can qualify for large postage discounts if we do some leg work before your mailings enter the mail stream. Commingled mail savings is based on presorting mail to final sort levels; and, destination entry discounts are earned by delivering your mail closer to its final destination. Using advanced sorting systems and technology, we help you take advantage of all USPS discounts for your high-volume First Class and direct mail. Commingling mail with different customers’ mail, piece types, piece weights, and postage types will greatly reduce your delivery costs, get your mail into homes and businesses faster, and provide smarter tracking with intelligent mail barcodes. Learn More. We are experts at high-volume mailings, providing our customers several timely, convenient mail drops. Highly coordinated logistics and superior quality control measures ensure your mailings are sent out efficiently – with a constant eye to cost savings. The best companies trust us with their direct mail marketing, invoicing, statements, voter ballots, and other confidential, sensitive materials requiring professional commingling care and delivery. By putting the industry’s best technology and mail experts behind your mailings, we’ll save you up to 10% on your postage costs. Midwest Direct can secure you deep postal discounts when we combine, or commingle, mail from other companies into one bulk mailing. For example, company X might have 40,000 pieces of mail, company Y has 500, and your organization might have 2, 500. 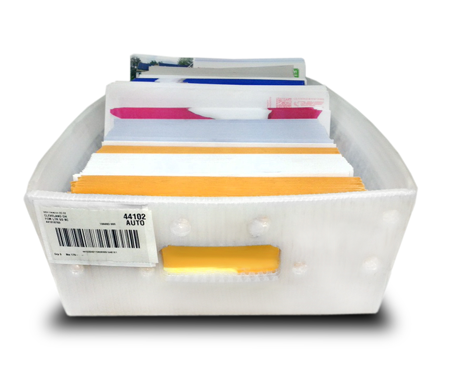 Commingling these mass mailings helps all three of you achieve lower mailing costs. Still confused? Our infographic breaks it down for you! Commingled mail efficiently delivers your vital Standard and Non-Profit direct mail to inspire, persuade, and motivate your customers.